Cloudbuster Balloon kits include 5 1/2 ft. balloon; 100 ft. Pennant Line and Instructions. Durable outdoor Cloudbuster Chloroprene balloons are manufactured to professional standards. The raw materials used in producing these balloons help retard the sun's ultraviolet rays, while the slender neck makes inflation easy. 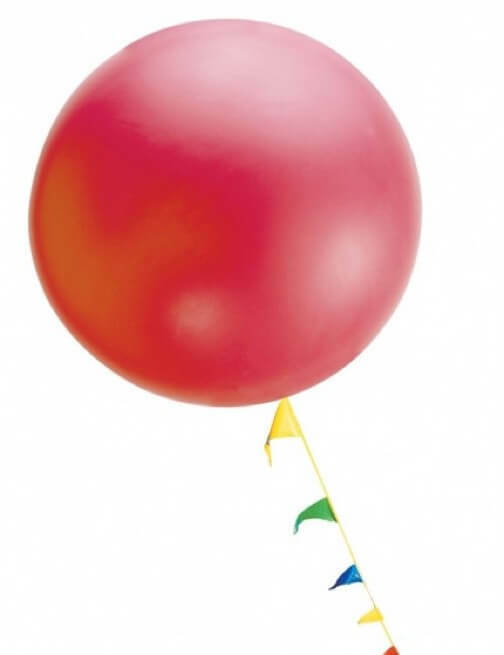 Depending on the size, the balloons float 4 to 18 days with helium. FOR OUTDOOR USE ONLY! This product is not intended for re-use.